Members of Congress have summoned the heads of airplane giant Boeing to a meeting to encourage the company to stop spearheading efforts to reenter the Iranian marketplace, a business pursuit that is jointly backed by the Obama administration, according to a letter sent Friday to Boeing leadership and obtained by the Washington Free Beacon. Boeing, like its French rival AirBus, has been working to woo the Iranian government following last summer’s comprehensive nuclear agreement. Officials at Boeing—a top U.S. government contractor—opened discussions with Iran last month. The company is hoping to sell its aircraft and other services to Iran’s national airline. Boeing’s overtures have been encouraged and facilitated by the Obama administration, which recently began a public campaign to encourage European and some American businesses to do business with Iran. Obama administration officials are working with Boeing to help it avoid sanctions that might interrupt its business ventures in Iran, according to three leading House members who want Boeing to sever ties with Iran. Insiders believe the effort is part of a larger bid to provide Iran backdoor access to the U.S. dollar. While the administration initially vowed to block this sort of action, it has walked back parts of its rhetoric about the nuclear deal in order to soothe recent tensions with the Islamic Republic. 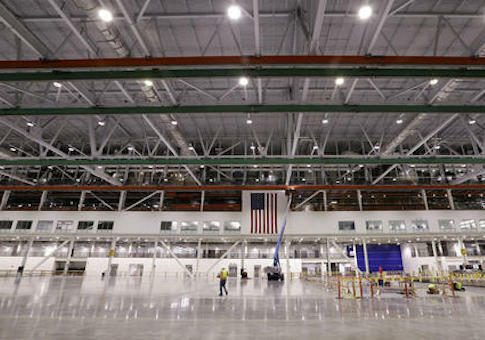 Three House members from Washington state, a major base for Boeing operations, wrote to the company on Friday to request a meeting. The letter also was sent to the head of AirBus. "We write to express our serious concerns over the sale of airplanes, parts, and other aircraft-related services to the Islamic Republic of Iran," write Republican Reps. Cathy McMorris Rodgers, the GOP conference chair, Dave Reichert, chair of the House committee that regulates trade, and Dan Newhouse. "With Airbus already conducting business in Iran and Boeing working with the Administration to begin its own sales, an extremely dangerous precedent is being set for Western companies," the lawmakers wrote, according to a copy of the correspondence obtained by the Free Beacon. "We ask both of your companies to consider the profound moral implications of engaging a nation that has proven time and time again that it cannot be trusted." Western companies risk their reputations by doing business with Iran, according to the lawmakers, who noted that Iran continues to conduct illicit ballistic missile tests and fund terror operations across the Middle East. Iran also has been cited as a central source for terror funding and money laundering. Western companies risk exposing themselves to this illicit activity if they enter the Iranian marketplace, the lawmakers said. Iran’s continued anti-Israel and anti-U.S. rhetoric, as well as other "acts of aggression are yet another sign that Iran has no intention of moderating its behavior as a result of the nuclear deal," they wrote. Boeing and others have a responsibility to put American safety above profits, the lawmakers wrote. "It is our hope that when your respective companies further consider doing business with Iran, you act cautiously and do not put business decisions ahead of the safety of our nation and our friends abroad," the letter states. "In light of all this, we would respectfully request a meeting with you or one of your representatives to further discuss our concerns."